Although you might not immediately notice the differences between this boat and its predecessors, they are dramatic. For example, moving the mast back to the 43 percent point to get a larger foretriangle required moving the center of buoyancy of the hulls aft as well. That, in turn, meant reshaping the hulls and making the bows sharper, not to mention adjusting the overall center of lateral resistance to keep the boat balanced with the big jib and small mainsail.  Putting the helm up on a flybridge created yet more structural challenges due to the strains of the running rigging and the weight of people up there. Finally, the short boom (another result of the aft position of the mast) calls for a taller rig to replace the lost sail area. 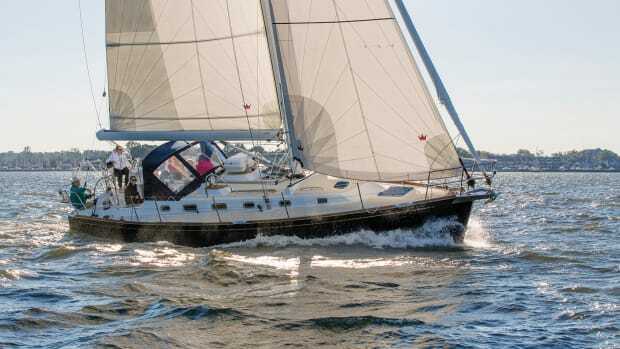 Amazingly, all of it works on the Lagoon 52: the tall rig is efficient; the mainsail is easy to trim, raise and furl (although the standard electric halyard winch is still essential); the roller-furled headsails behave nicely; and the boat really goes. VPLP Design got it right. 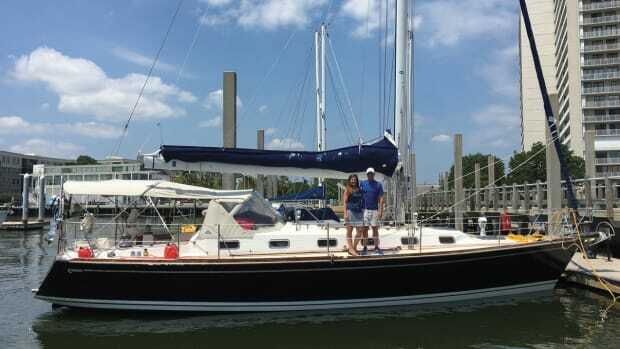 Lagoon has always built strong boats, and I found no deck flexing or noise during our test sail. The vacuum-infused balsa-cored hull and deck (solid glass below the waterline) should enjoy a long service- life. The interior liners are solid glass or core-mat sandwich, and the joinery is an Alpi wood surfaced laminate. As always, this builder installed the electrical and plumbing systems properly and provided good access to the systems and to the engines. A big pedestal is smack in the center of the flybridge, with the electronic displays spread out ahead. Just so the driver doesn’t go cross eyed from having the mast squarely in the line of sight, the wheel can be flipped into three positions: starboard, port and center. the loose strings and has installed winches sized properly to their tasks.It’s an efficient, comfortable place to spend a day sailing. Because the top is hard and structural, you can walk anywhere on it. 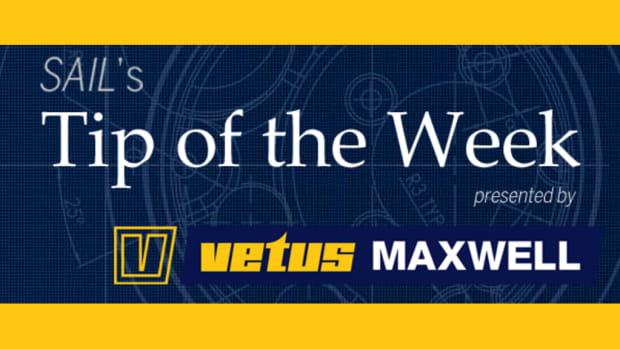 This gives outstanding access to the boom, even for shorter sailors. 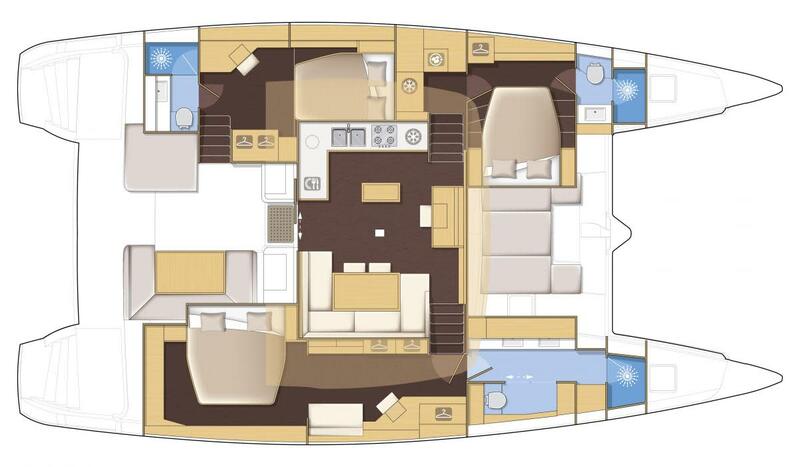 In the four-cabin model I sailed, there are pleasant double-berth accommodations forward with their own head compartments and showers. 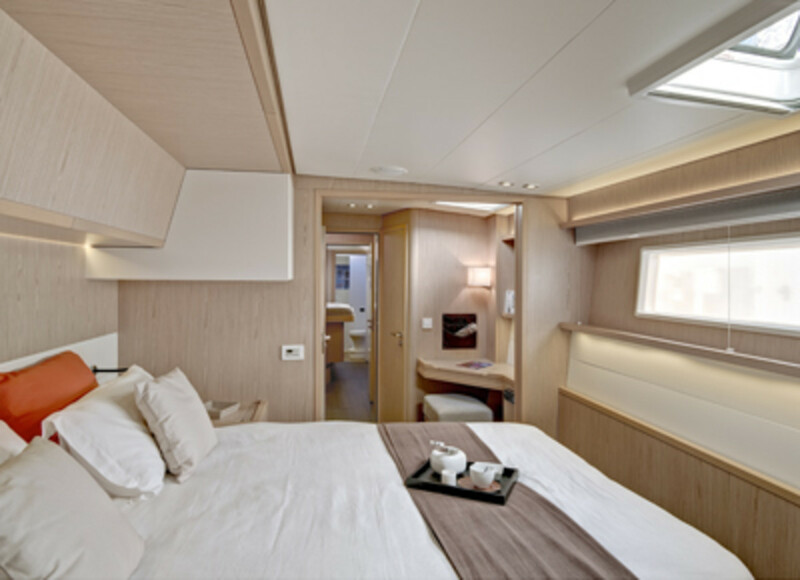 The truly glamorous places to sleep, however, are in the two aft cabins, each of which qualifies as an owner’s or VIP quarters. To starboard is a big, bright space with a large shower and sink space walled off by glass. The toilet is in a separate compartment near the dressing table. To port is another pretty space that has its own direct entry from the cockpit. I’ve seen less inviting places on 90-footers. The central nav station enjoys a panoramic view that will make sailing during inclement weather by remote control comfortable. 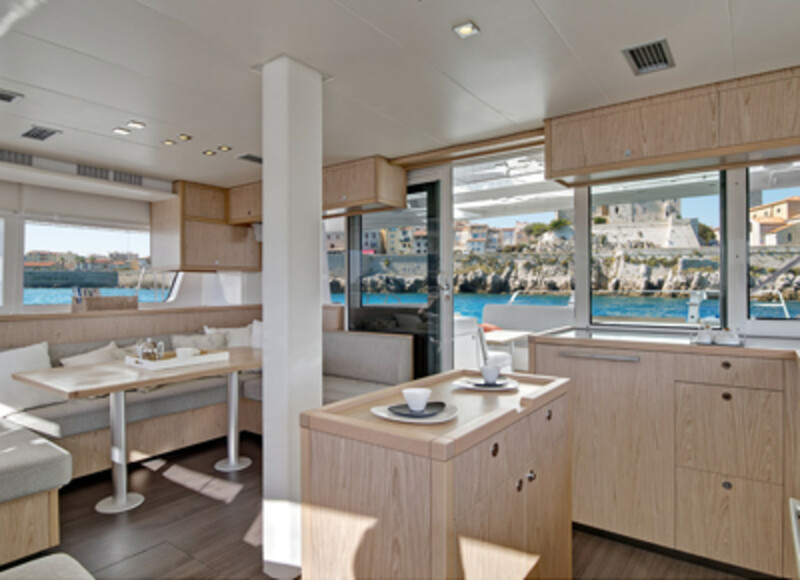 A large dining table and well-equipped galley complete the space. The big sliding doors make the cockpit and saloon into a single large area with no visual barriers. Perhaps it’s my fondness for blondes, but I found the Alpi wood finish beautiful. Combined with soft, light-color fabrics and large windows, the overall effect is elegant. Teak joinery is an option. 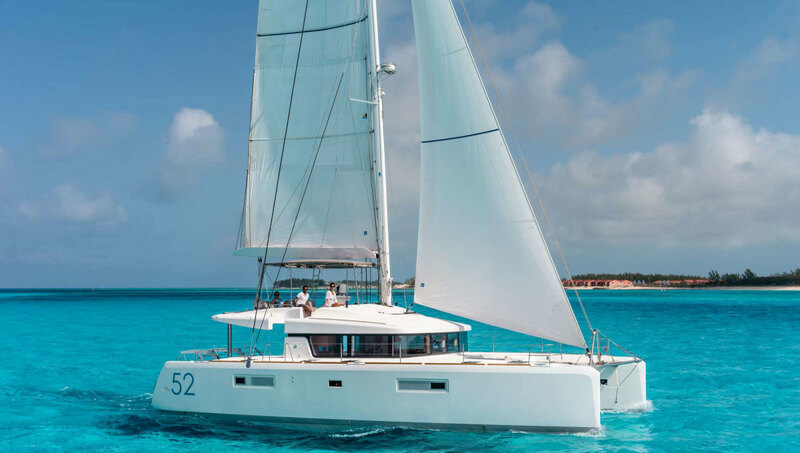 Because I hopped aboard the Lagoon 52 immediately after sailing its smaller sister, the 39, on the same day in the same conditions, it is impossible to resist comparing them. Even with all their design similarities, they have distinctly different personalities. Lagoons have never been lightweight flyers with acres of sail power. In that tradition, the new boats have moderate displacement and moderate sail area, although they still manage quite respectable speeds. This is a tribute to both the designers and the builder. Our test boat did have the optional square-top mainsail and Code Zero headsail, which powered it up quite a bit. In fact, we were at the top of the usual wind velocity for the Code Zero in 18-20 knots of wind off Miami, but we wanted to push it to see what happened. The result was a speed of 10-11 knots on a beam reach, compared to about 9 knots under the self-tacking jib. Quite a downwind ride. During the 52’s delivery run across the Atlantic, 200-mile days were apparently common, and the best day’s run was 220 miles. The tall rig has one disadvantage: bridge clearance. It’s over 89 feet from waterline to truck, so you won’t be taking the Lagoon 52 under any standard 65-foot highway bridges. While it was too rough to get accurate tacking angles in the seaway we experienced, the 52 did come through the wind smoothly on tacks and accelerated well out of the turns. 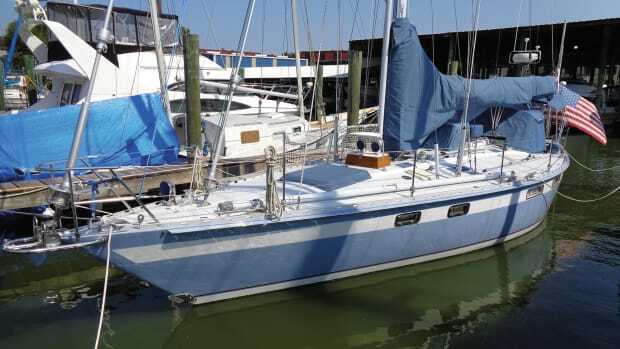 Unlike the 39, which gave clear feedback from the rudder to the wheel, I found the 52 more difficult to keep “in the groove” and sailing at its best angle because the helm response was a bit vague. The motion in the short 5-7 foot seas was lively. To be fair, we were going fast and encountering those waves in rapid succession, especially while sailing to windward. 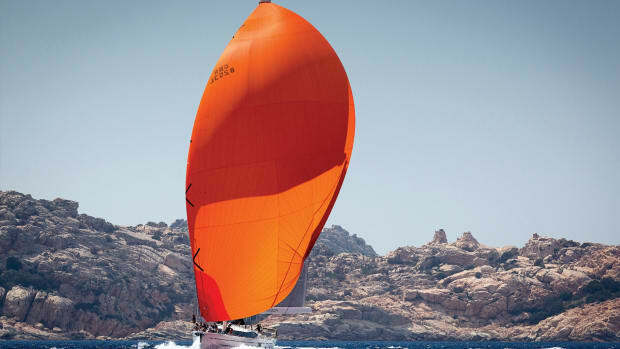 A comparable monohull might have given a smoother ride, simply because it was slower. 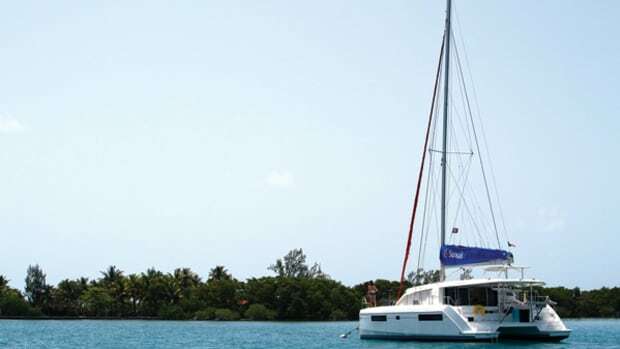 The Lagoon 52 is relaxing under power. I measured an easy 8 knots at a 2,400 rpm throttle setting, with a low (62 dBA) sound level that permitted comfortable conversation. Close quarters maneuvers were simple and predictable, with the big cat stopping, backing, turning and pirouetting exactly as it should. 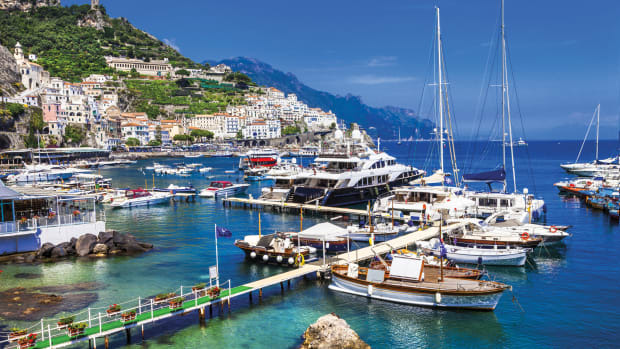 In many ways, the motoring experience from the flybridge of the Lagoon 52 felt like running a trawler yacht, except it is more stable, faster, quieter, more maneuverable, has bigger accommodations and burns less fuel than those popular powerboats.